I couldn’t be happier to share this Client Spotlight Interview with you! This gorgeous piece of art was created by one of our recent artist additions, Silvia Brunetti, and it has already become one of my all-time favourite artworks on the site. If you want to work with Silvia, click here to have your own custom artwork done in this style. We owe this pleasure to Jon, who wanted to commission a custom piece of art as a gift to his fiancée! He worked hand in hand with Silvia to create this incredibly beautiful, mesmerizing illustration. Seeing such outstanding artworks come together and have such a positive impact on people’s lives… It’s priceless! Without further ado, let’s get to know more about the brilliant mind behind this artwork and how he worked with Silvia to make it happen! Hey, Jon! Do you want to tell us a bit about yourself? Sure. I’m a graphic designer who works at a local theatre (with my fiance!) in Providence, RI. Beyond that, I’m pretty much a walking millennial stereotype. I love hiking, beer, Bernie Sanders, hanging out in hip little cafes. It’s pretty gross, really. Thankfully I can’t grow a beard and I hate hoppy beer, so I’ll never be a TRUE hipster. We’d still love you regardless! Now, tell us! How did you come up with the idea to commission this gorgeous piece of art? I got a piece of art made for our one year anniversary. It was a painting of the first night we hung out. I always wanted to get another piece made, and when we saw Silvia’s artwork we were blown away! Awws! That is so sweet! Silvia is very talented, indeed! What made you choose ArtCorgi for your custom artwork? How did you go about choosing an artist? As a (terrible) artist myself, I know how awful it can be to work directly with clients sometimes. I really liked that ArtCorgi seemed to be the perfect intermediary between the artist and client. The way the communication is laid out makes it so nobody gets exhausted and everyone gets exactly what they want. As for choosing the artist, it was pretty obvious that we wanted to work with Silvia the second we saw her work. Both of our jaws hit the floor when we found her page. Thank you! Silvia’s art tends to cause that reaction, haha! So, I hear you’re keen adventurers! Do you have any exciting stories you want to share with us? A few years ago we went on a trip to Ireland and wandered through a bunch of old ruins and castles. The amount of giant castles sitting in the middle of empty open fields was unreal. There were times where we were the only two people exploring these massive stone buildings or just climbing up giant hills with nothing around for miles but sheep and grass. Woah! That sounds exciting! That side of yours definitely shows on your piece of art! 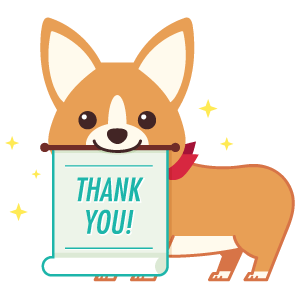 How was your experience working with Silvia through ArtCorgi? Do you have any advice for anyone looking to order their own custom artwork? It was a great experience. There really isn’t much more to say. If you want to order your own custom artwork, it really is as simple as it looks. There’s no catch, no hidden fees. Everything is listed right on the site, and the process from start to finish is super smooth. I guess my one piece of advice would be to not be shy or nervous about over explaining what you’re looking for when it comes to describing your piece to the artist. 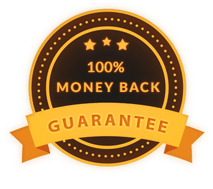 They want you to be as happy as possible, so make sure you don’t leave out any details or shy away from specifics in the revision process. As long as you are respectful, there’s nothing to be worried about. Great advice, Jon! Is there anything else you want to share with us? Nothing I can think of. Thanks for making such a great service! Cheers. Thank you for letting us get to know more about you and your unique artwork, Jon! Want to have your own custom artwork done by Silvia Brunetti? Visit her page to get your own Stylized Portrait done in her unique style! 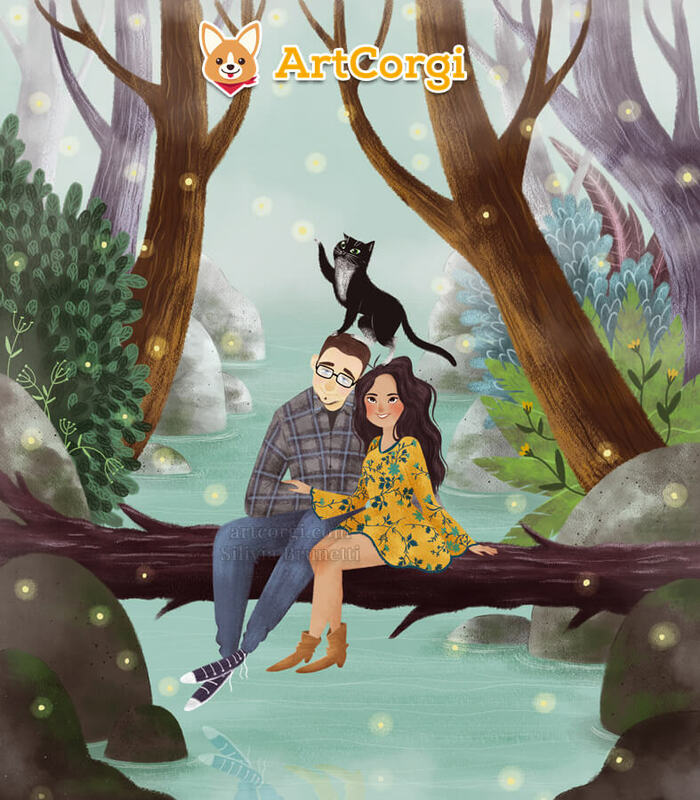 This entry was posted in Art Commentary, ArtCorgi, Client Spotlights, Commissions and tagged cartoon style, commission, commissions, couple portrait, gift, romantic gift, silvia brunetti. As CEO of ArtCorgi, I help people commission amazing pieces of art from our network of talented artists in an easy, safe and fun way! I've also been an ArtCorgi artist since its inception. I'm committed to help ArtCorgi grow, one masterpiece at a time! Client Spotlight: Matt’s amazing Jurassic Park themed proposal artwork!